A major theme throughout the week was how the ongoing struggle toward clean energy production and away from fossil fuels is not as simple as many of us take it to be. This was best shown in the site visit to a local fossil fuel power plant. 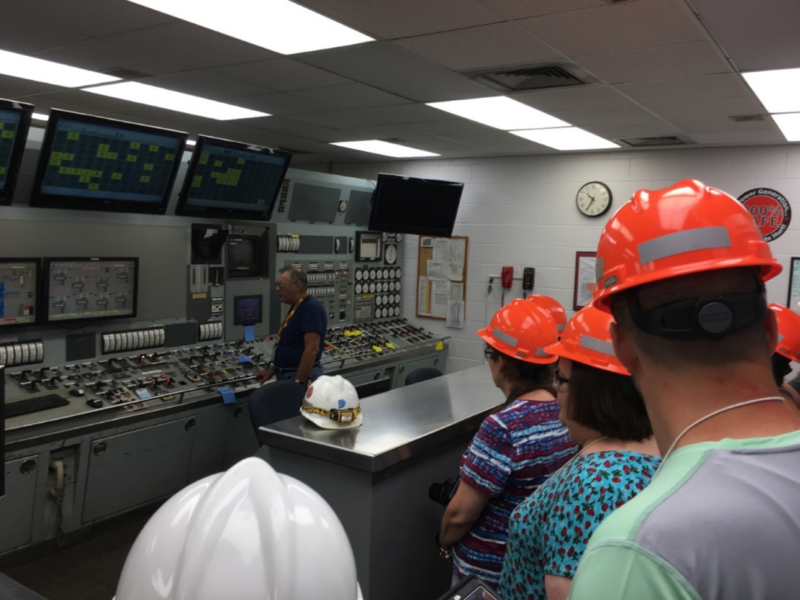 While at the plant, the group listened to a presentation by the station director that covered the general operation of a power plant, the current state of the power plant, and the pros and cons of natural gas versus solar and wind. It was very interesting to discover that despite their lack of greenhouse emissions, solar and wind energy production still have negative environmental impacts. Solar panels require large amounts of land to produce the same amount of energy as a single power plant. If they are not recycled at the end of their 20-year lifespans, panels become environmentally hazardous waste. Wind turbines pose a danger to birds and bats, some of which may be endangered species. The director also explained the logistical challenges facing solar and wind energy production. “Energy cannot be stored on a large scale,” he explained. A power plant must put out the same amount of energy as is being used by its customers at any moment, or else there is risk of a blackout or overload. This is part of why power companies prefer fossil fuels: their energy output can be controlled and adjusted quickly and consistently to match demand. Solar and wind power, which can suddenly reduce output because of cloud coverage or a lack of wind, are nowhere near as reliable. DaNel Hogan, the week’s facilitator, emphasized to the participants the importance of developing battery technology to overcome this challenge. 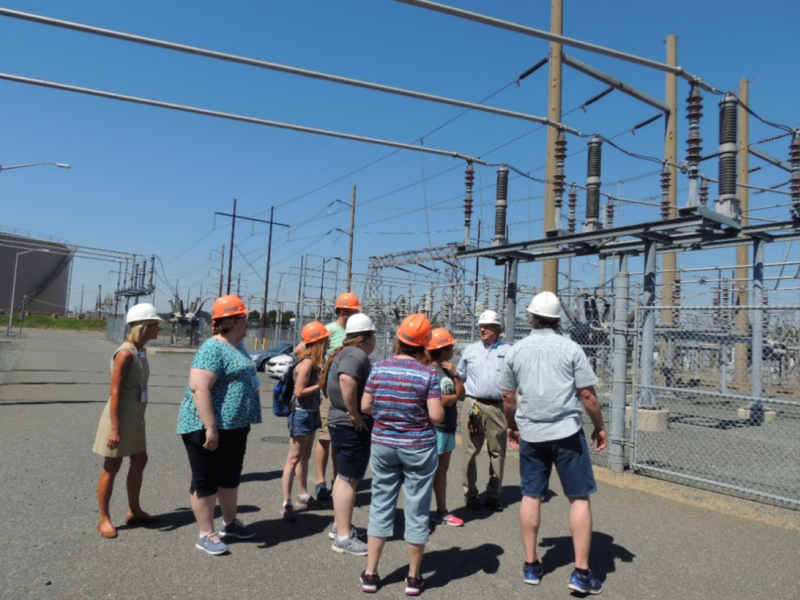 After the presentation, the group toured the grounds of the power plant. 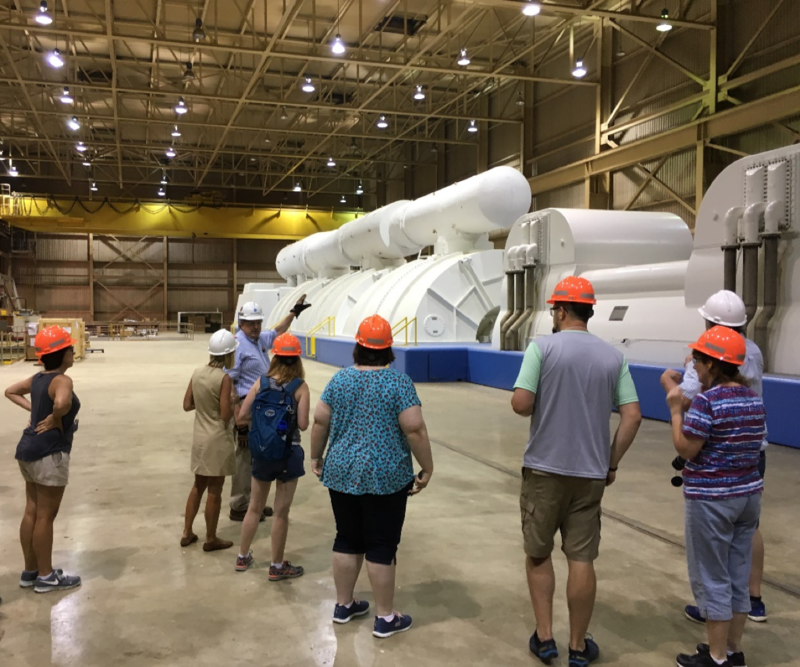 They saw huge turbines spun by natural gas–heated steam and transmission lines that carried electricity from the plant to surrounding counties. They met the operators of two of the units, one of whom had worked at the plant for over 30 years. 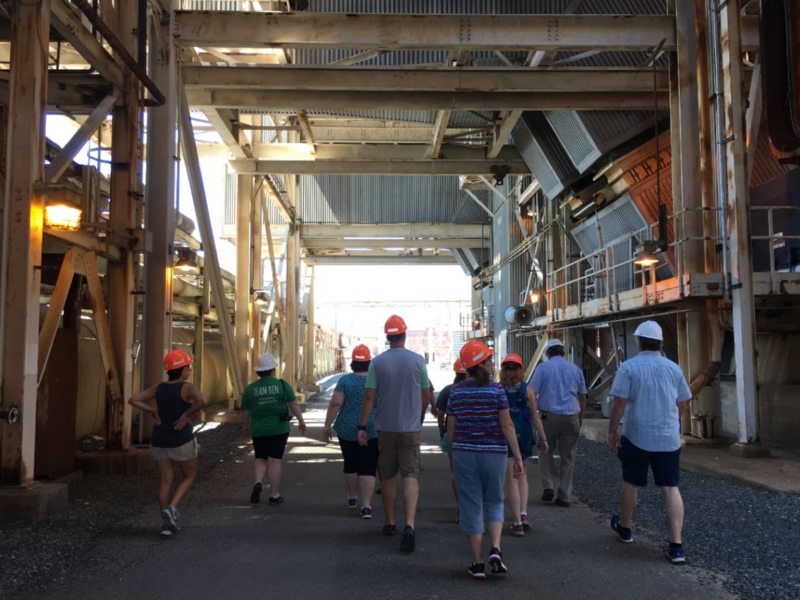 Through the trip, participants were able to see the current energy debate from an energy producer’s perspective, helping to illuminate the intricacies of energy production. 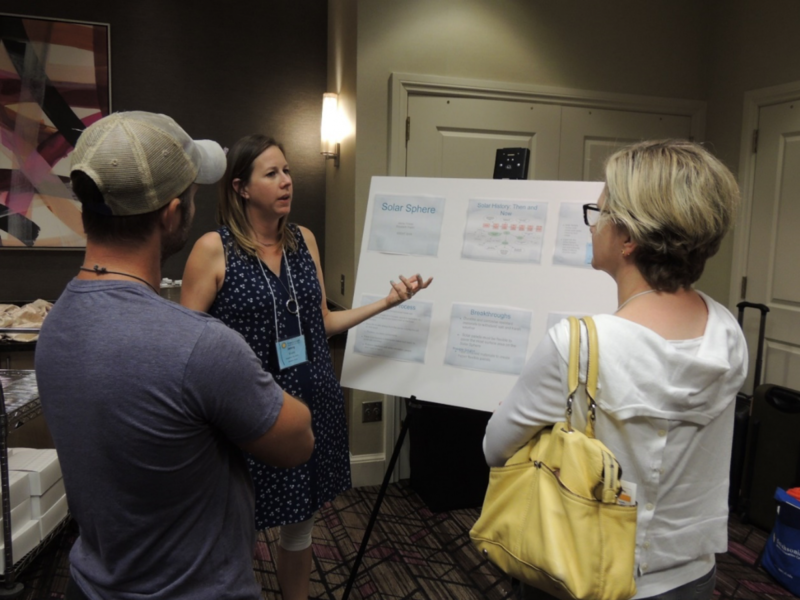 Many of the teachers were able to use this new knowledge and perspective in their weeklong project, called Engineering Your Energy Footprint, where they had to come up with a new way to conserve energy while considering the pros and cons of their idea. One group conceptualized a solar sphere that would float on the ocean and collect sunlight to produce energy. Another group came up with an app that would help the average person track their energy footprint through carbon emissions and energy usage. All of their projects showed a greater understanding of the complexity of being environmentally friendly, and many of the teachers planned to use similar activities in their classrooms to help their students face the challenge of climate change with a fuller understanding of the realities of our current technology. 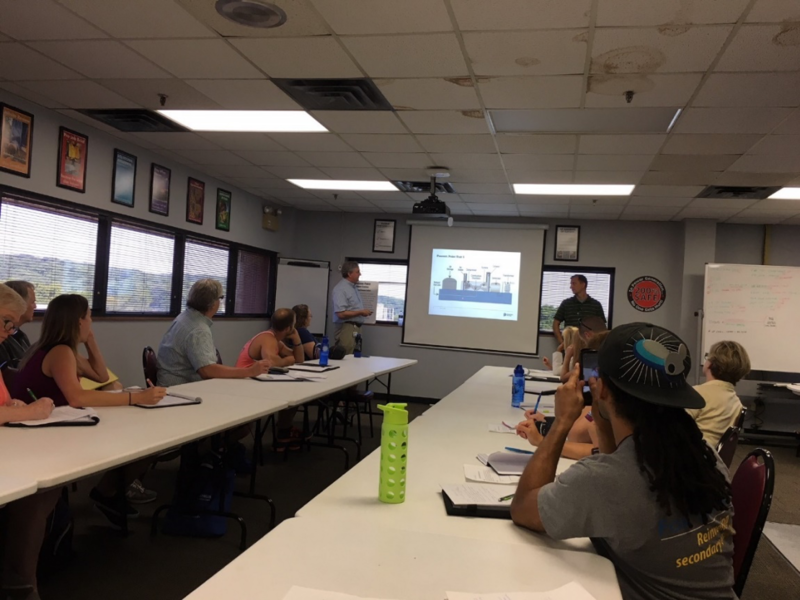 Helping plan and participating in the 2018 Energy SSEAT was an amazing experience that gave me insight into energy’s innovations and implications and the role of museums in education. 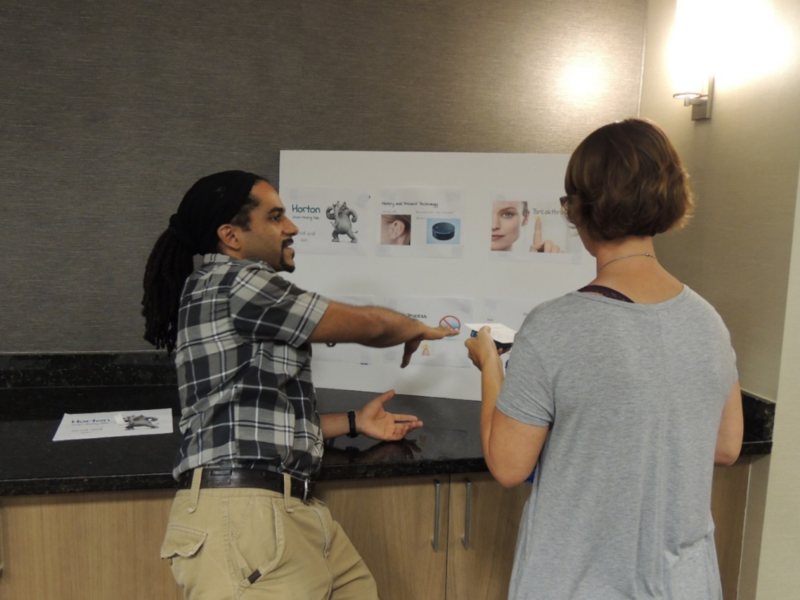 Watching the teachers learn and be amazed by demonstrations and activities that I helped bring together was a gratifying experience that was made even more gratifying knowing that the teachers would replicate their experiences with their students. Working with educators as dedicated and involved as those that came to our program has given me a greater understanding and respect for teachers. The group walks through the power plant. Smithsonian Science Education Center. Jordan, D. C., and S. R. Kurtz. 2012. "Photovoltaic Degradation Rates — An Analytical Review." Progress in Photovoltaics: Research and Applications. Retrieved from https://www.nrel.gov/docs/fy12osti/51664.pdf.